Last month, CDOT and its partners officially kicked off the 2019 continuation of The Cannabis Conversation with a media event at Lightshade Dispensary. Media was invited to get an inside look at some of the creative concepts CDOT is working on for a future marijuana-impaired driving educational ad campaign and speak to representatives from our team, CSP, Marijuana Industry Group and Lightshade. Meanwhile, we also wrapped up preliminary message testing on the creative ad campaign concepts with a small group of online survey participants. Since then, CDOT has been tweaking our creative concepts based on the preliminary feedback and is excited to launch a widespread public survey this week inviting the greater population of Colorado to weigh in and help further refine the ad concepts. We’ll also be conducting an online focus group next month to gather in-depth insights from selected participants. CDOT looks forward to sharing these ideas with the community and hearing your honest, constructive ideas for how our future education campaign can most effectively address the complicated issue of cannabis and driving. On April 20, CDOT will be at the Fly Hi 420 Festival at Civic Center Park to talk with cannabis consumers, gather feedback on our creative ad concepts and provide an update on the campaign. If your organization is interested in contributing to The Cannabis Conversation, bringing awareness to marijuana-impaired driving and helping identify potential solutions, contact Sam Cole at sam.cole@state.co.us for information on ways to get involved. 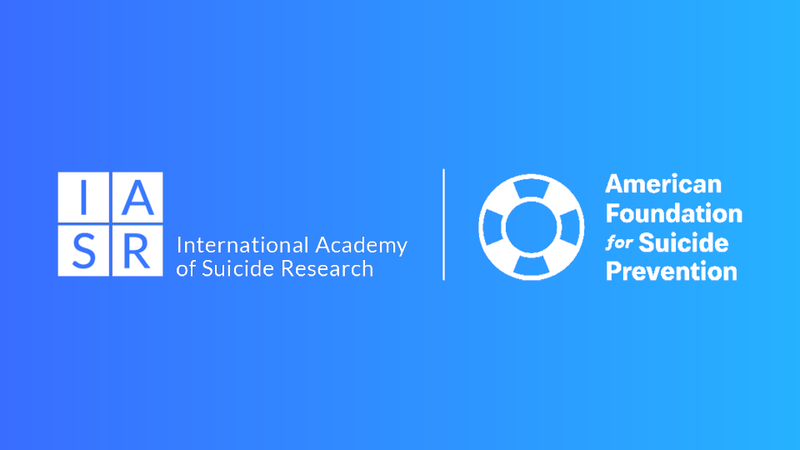 We’re pleased to announce that together with the International Academy of Suicide Research, the American Foundation for Suicide Prevention will once again be bringing together over 400 of the world’s preeminent suicide researchers, representing more than 30 countries, for the IASR/AFSP 2019 International Summit on Suicide Research. With a focus on “Suicide Prevention Research: A Global Imperative,” the four-day conference will be an opportunity to showcase and discuss the latest innovations and findings on how we can save more lives from this leading cause of death. The 2019 International Summit on Suicide Research will take place October 27-30 in Miami. The event is open to all suicide researchers, as well as those interested in learning the most innovative findings and evidence in the field. Early registration ends July 11, 2019. The Wisconsin Institute for Healthy Aging is showcasing Stepping On License Holders from across the nation. In this email, Shannon Myers shares a Q&A with Centura Health in Colorado. 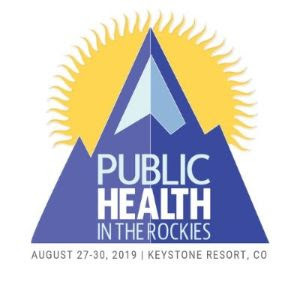 Robert Hayes, RN Trauma Injury Prevention Specialist, is leading this effort, and his team has worked across the rural Eastern Plains, Metro/Urban, and Mountain Communities throughout in the state of Colorado. Robert oversees the administrative aspects of the program—collecting data, monitoring fidelity and providing support, as well as annual reporting to WIHA. He is also a Master Trainer. Centura Health has been growing its Stepping On team and bringing a much-needed service to Colorado residents for the past seven years, trying to reduce and eliminate falls, the top unintentional injury in Colorado. With 42 active Leaders, four active Master Trainers and approximately 38 Stepping On workshops organized and co-led in 2018, this team is making great strides in falls prevention! Stacy Rasmus, PhD, is Associate Research Professor and Director of the Center for Alaska Native Health Research (CANHR) at the University of Alaska Fairbanks. Dr. Rasmus has worked with American Indian and Alaska Native (AIAN) communities for over two decades and has built an international program of research focusing on the promotion of Indigenous strengths, wellbeing and resilience in Alaska, the Arctic and the Pacific Northwest. Dr. Rasmus is trained in the social and behavioral sciences with specific expertise in the translation of Indigenous knowledge and practice into health interventions that are community-driven and culturally-centered. She currently leads several NIH, NSF and SAMHSA grants that together engage AIAN populations in research and evaluation initiatives to eliminate disparities in youth suicide and substance use disorders, with a special focus on alcohol, opioids and co-occurring disorders. 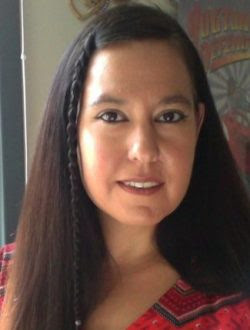 In addition to her research program, Dr. Rasmus also directs NIH capacity building and training grants, most recently becoming the Alaska PI for the American Indian and Alaska Native Clinical Translational Research Program (AIAN CTRP), a collaborative program bridging universities and Tribal partners in Alaska and Montana. Dr. Rasmus received her PhD in anthropology from the University of Alaska Fairbanks. 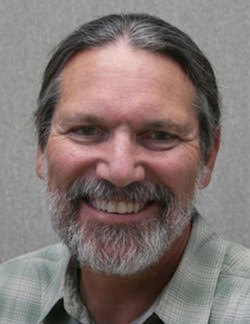 James Allen, PhD, is Professor in the Department of Family Medicine and BioBehavioral Health and the Memory Keepers Medical Discovery Team for Rural and American Indian Health Equity at the University of Minnesota Medical School, Duluth campus. For over two decades, he has worked with a community partnership to discover Alaska Native pathways to well-being and reasons for life using strength-based approaches. The team is currently testing this Indigenous intervention in work funded by NIAAA, NIMHD, NIMH, and the IDeA program. Dr. Allen also currently collaborates with Dr. Rasmus on the NIMH/NIMHD funded Alaska Native Collaborative Hub for Research on Resilience (ANCHRR), to discover local grassroots efforts in Alaska Native youth suicide prevention and conduct the Alaska Native Community Resilience Study (ANCRS), and with research projects of the Northwest Indian College (NWIC) Native American Research Center for Health (NARCH) exploring cultural and spiritual factors in recovery from opioid addiction in Pacific Northwest and Northern Minnesota tribal communities. Completed work includes contributions to a collaborative NSF project describing the resilience strategies of circumpolar Indigenous youth and an NINDS funded study of the epidemiology of stroke and vascular risk in Alaska Native people. While a Fulbright scholar at the University of Oslo, Allen developed additional research interest in the experience of international refugees. Dr. Allen received his PhD in clinical psychology from the University of Montana and completed an internship in clinical psychology at Hutchings Psychiatric Institute in New York.